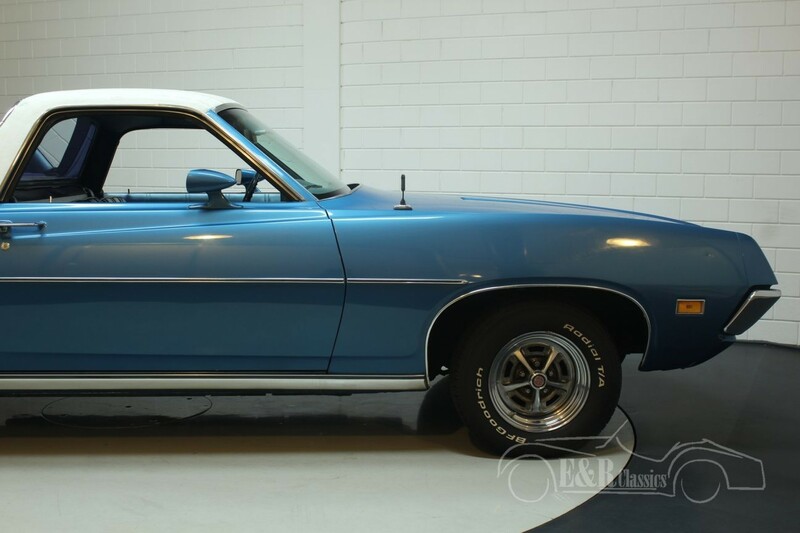 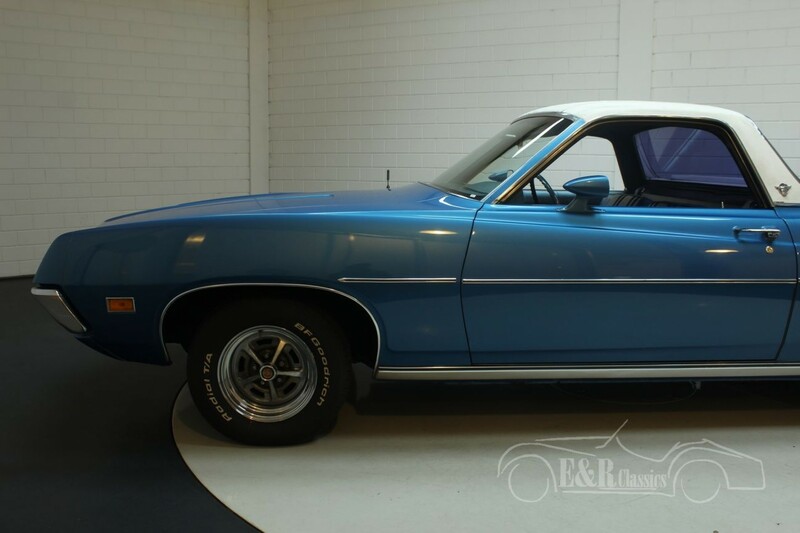 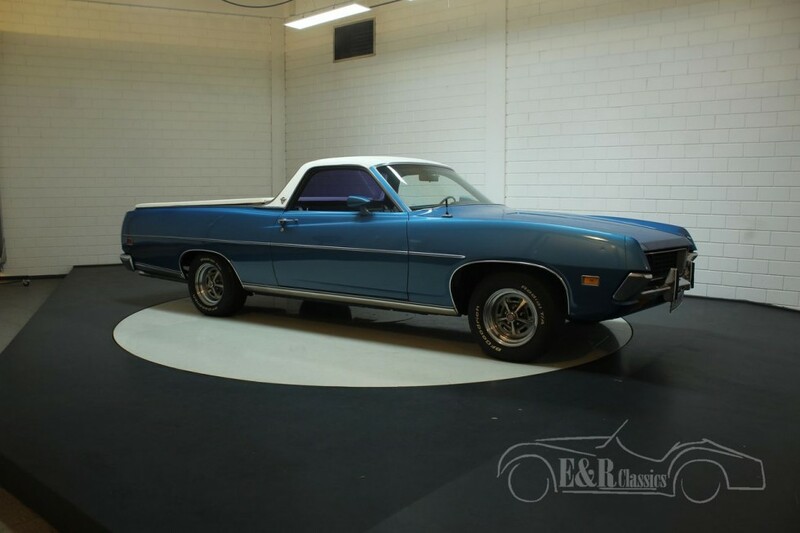 This beautiful Ford Ranchero was built in 1971 and is one of the fifth generation of the Ranchero, a model from the distinctive American 'Coupe-utility' segment. 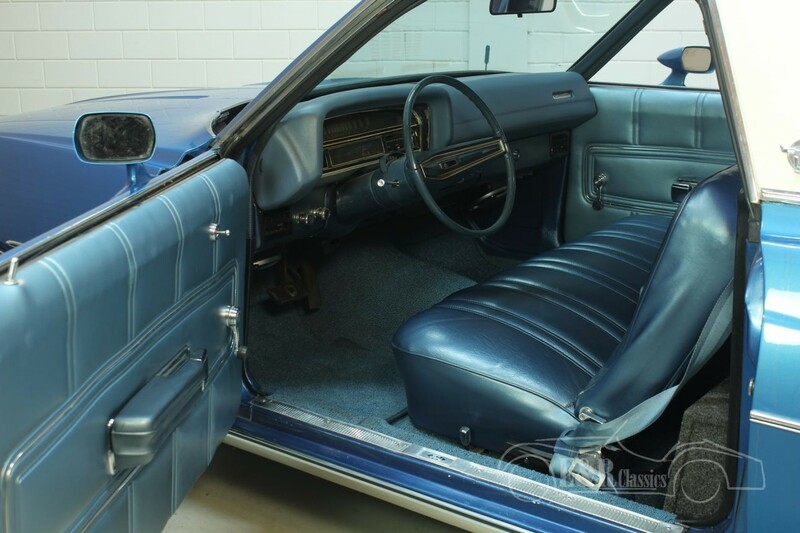 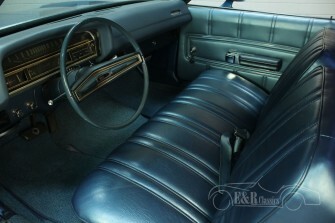 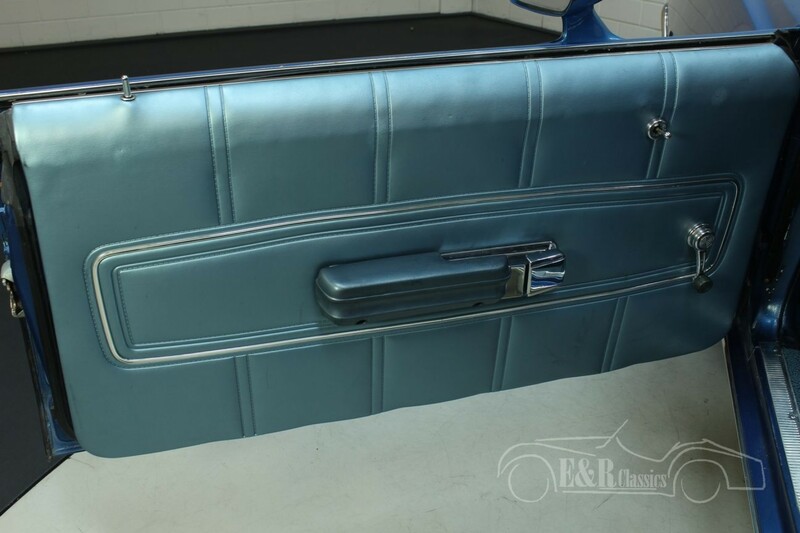 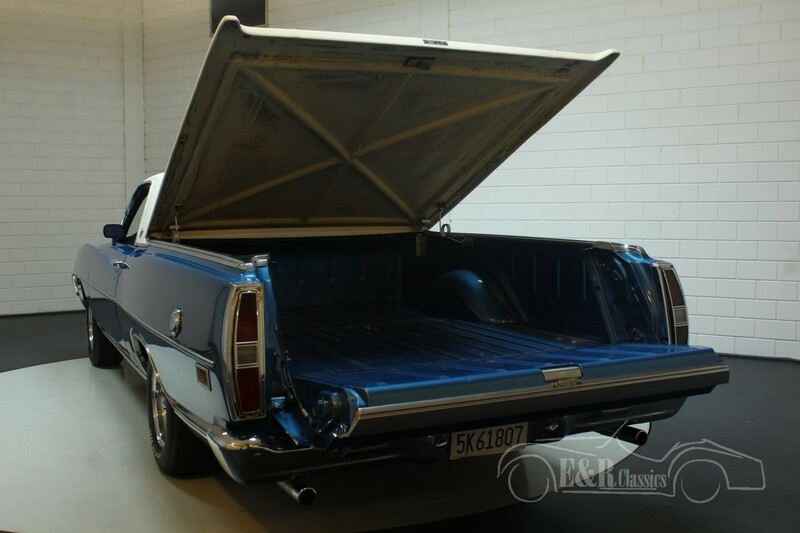 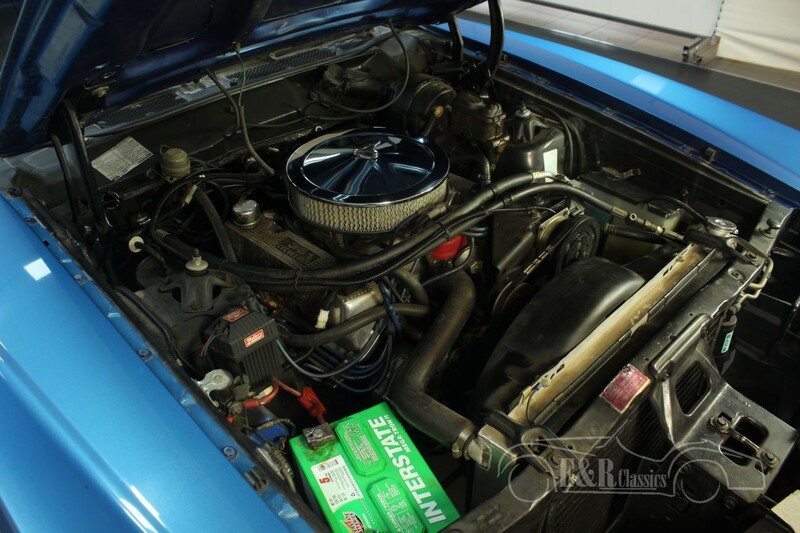 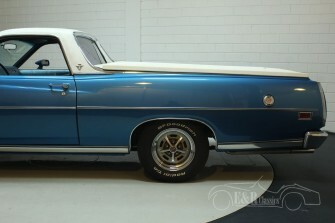 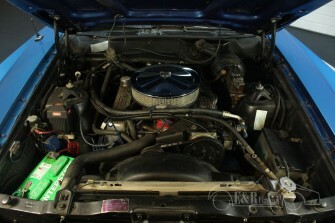 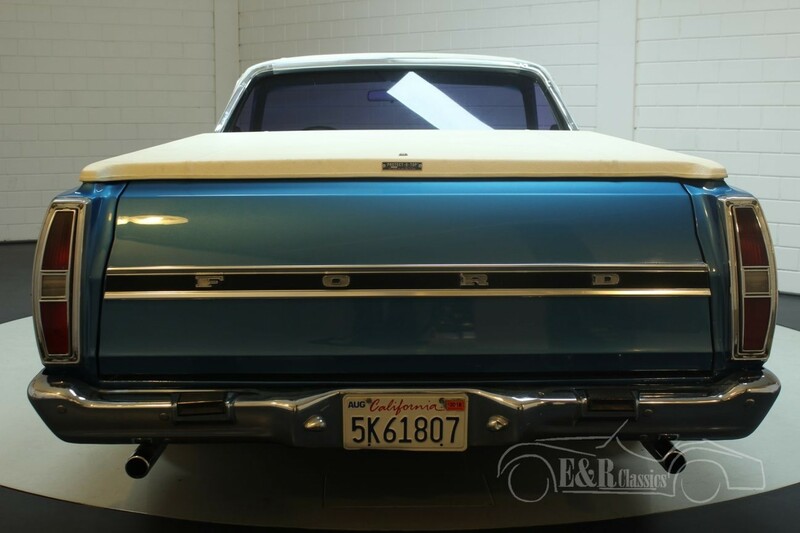 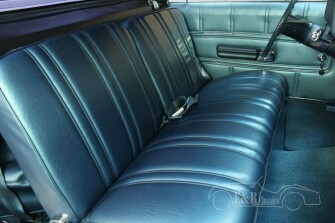 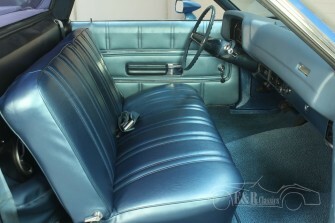 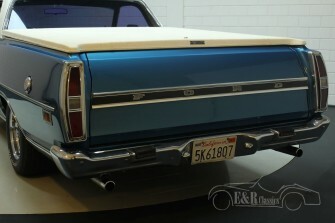 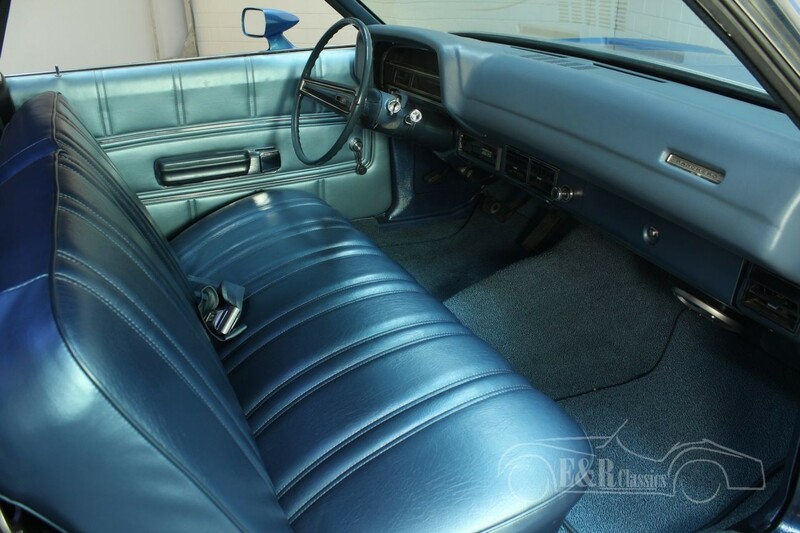 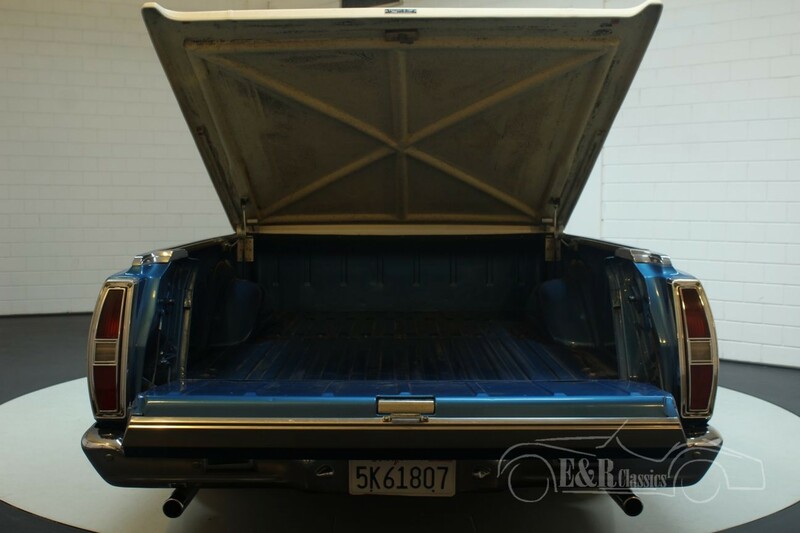 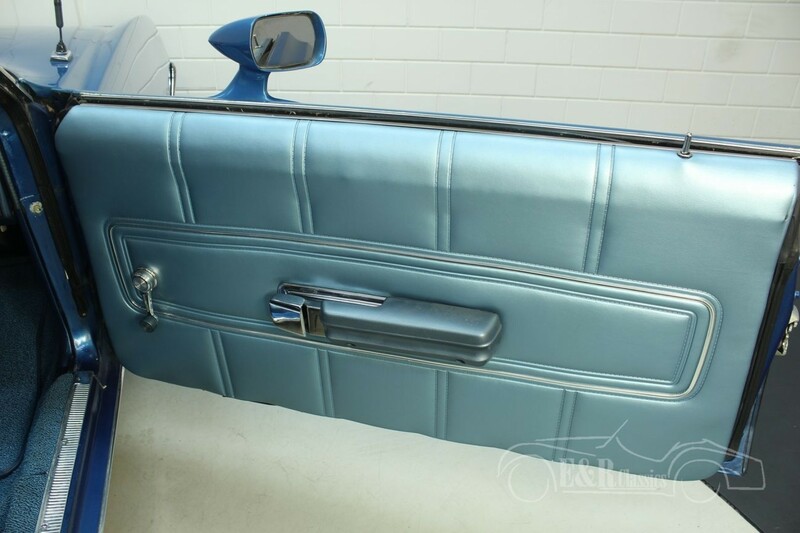 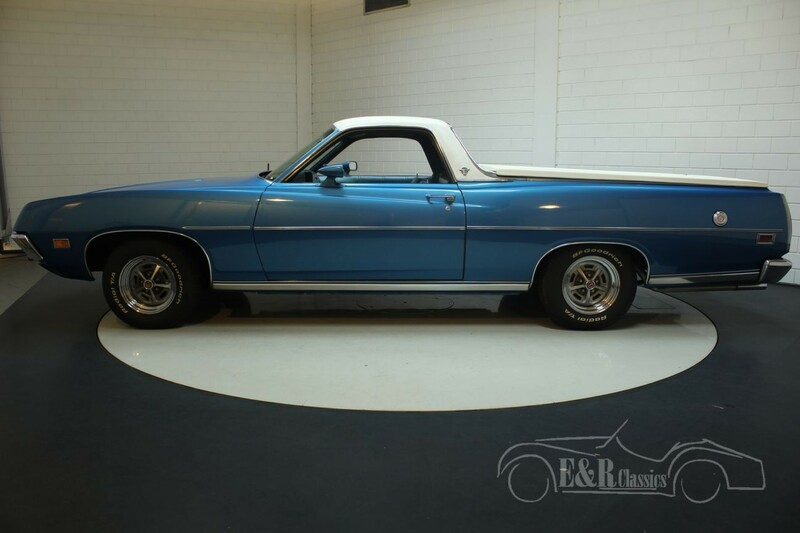 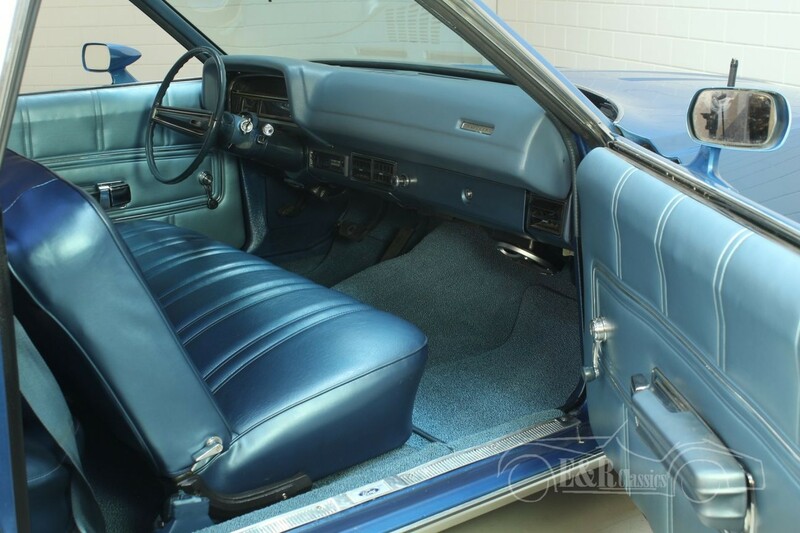 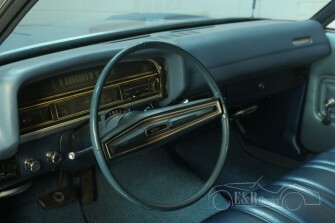 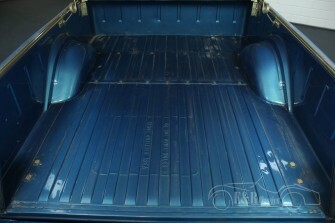 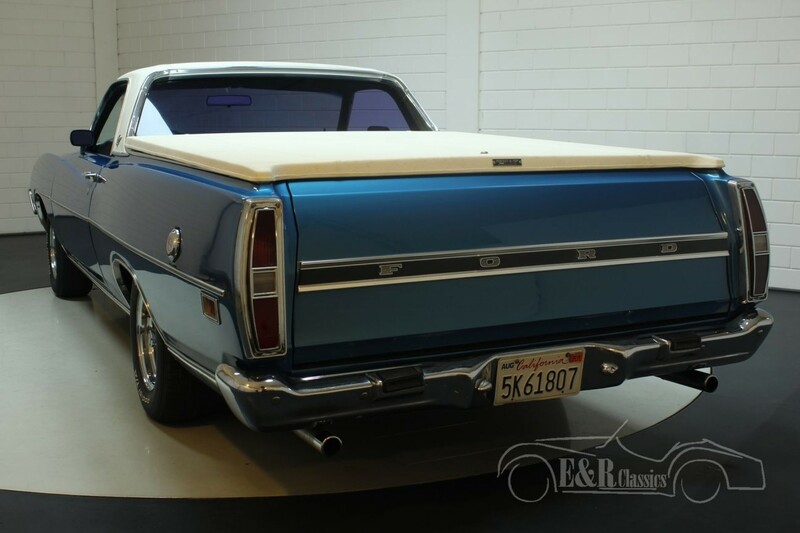 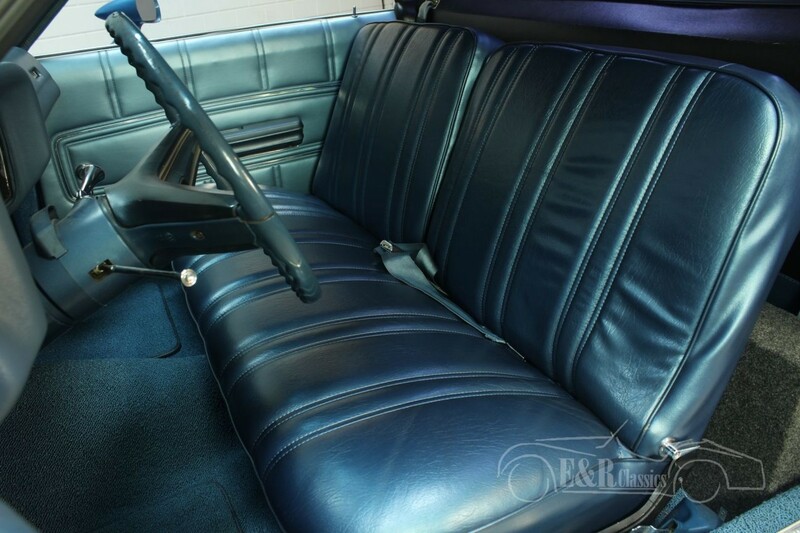 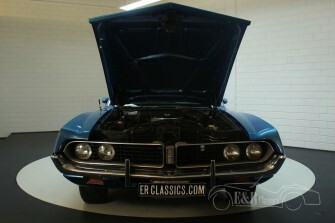 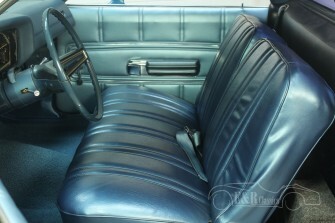 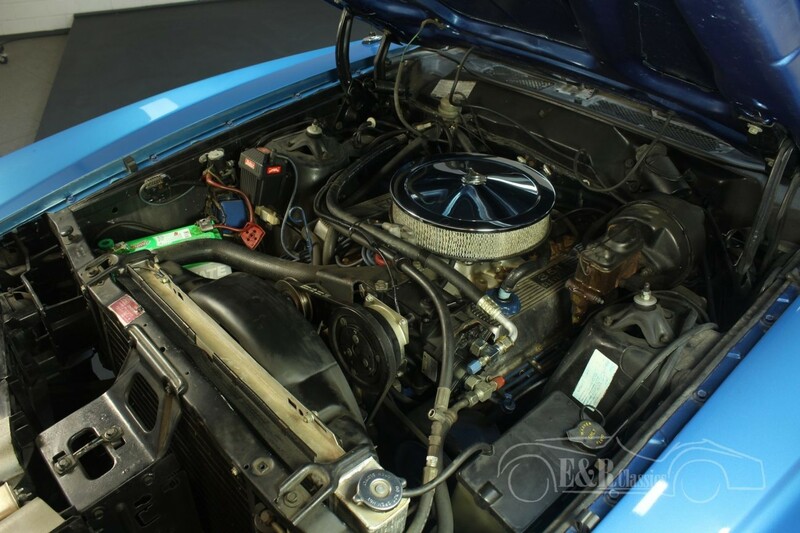 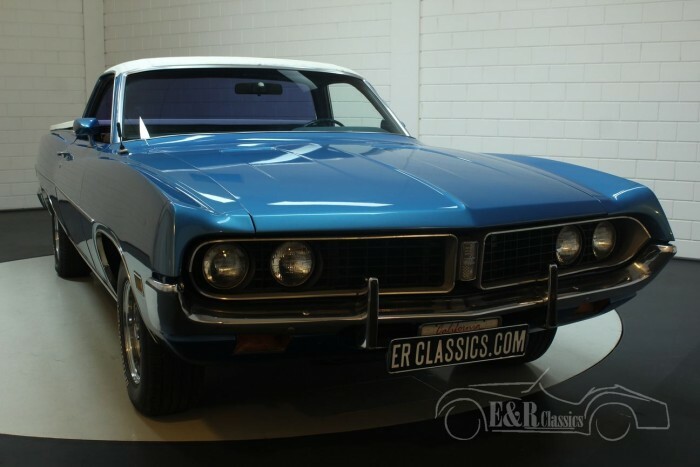 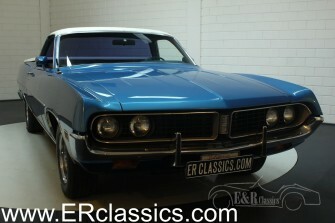 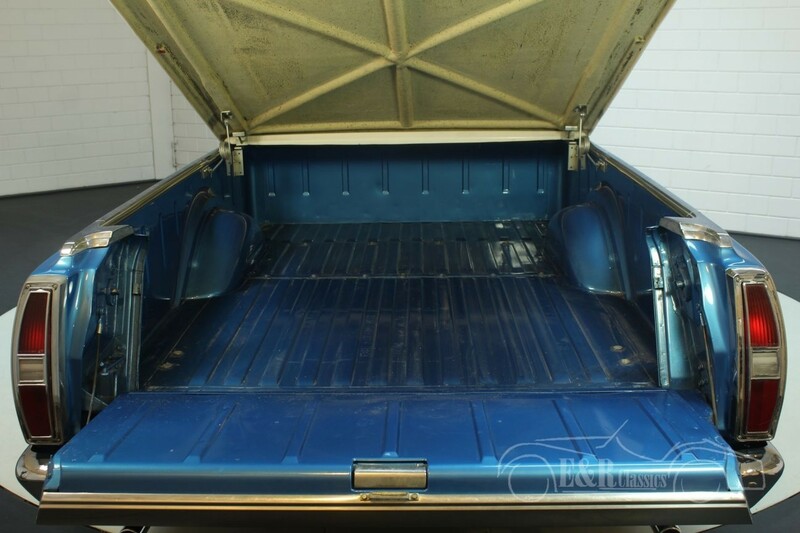 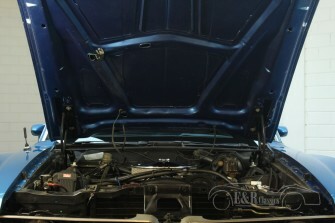 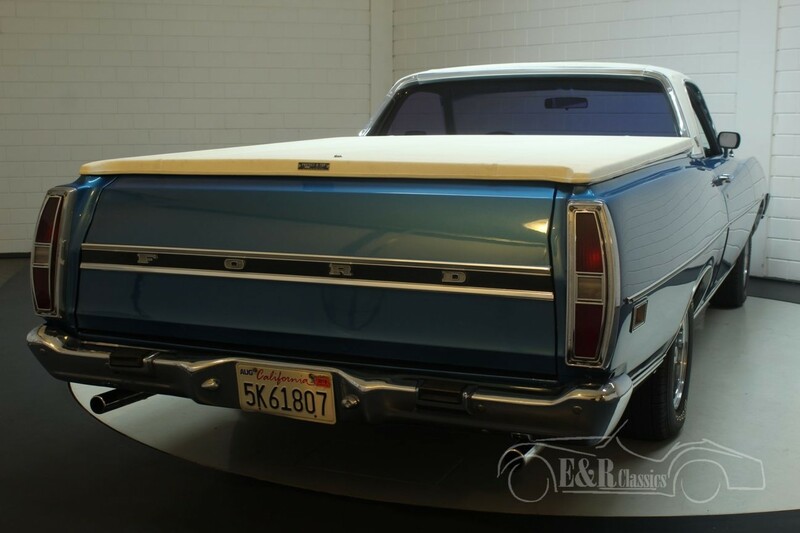 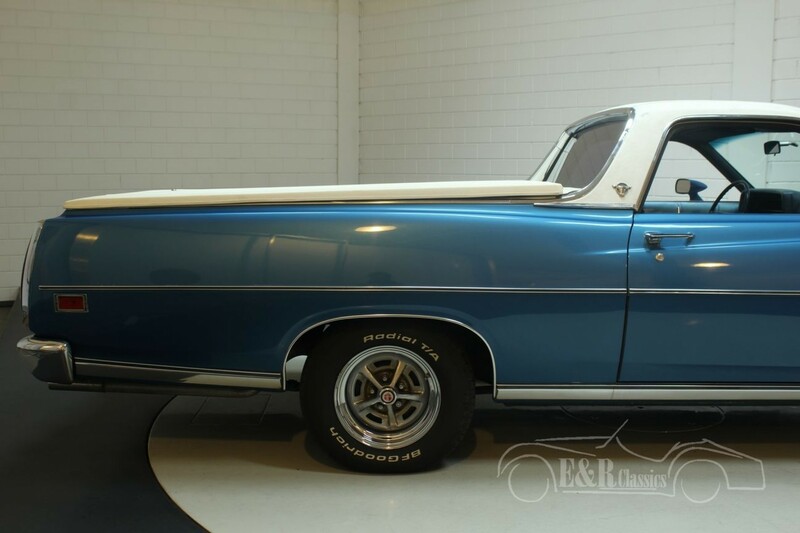 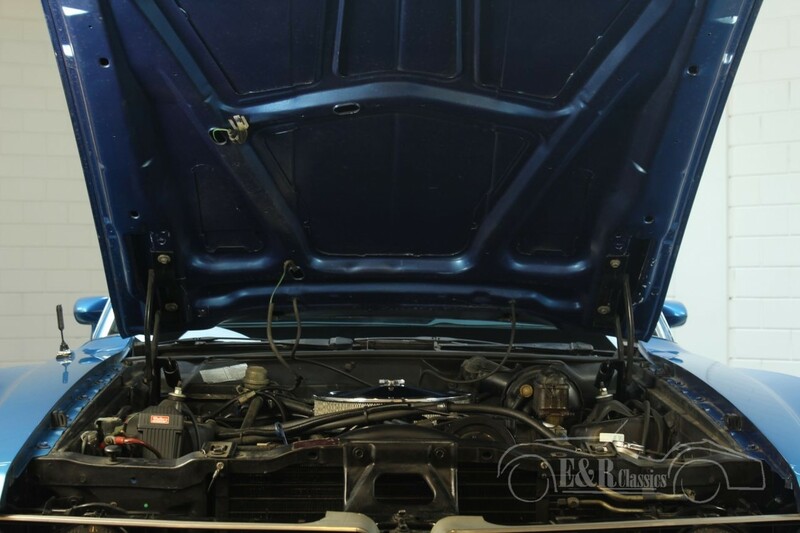 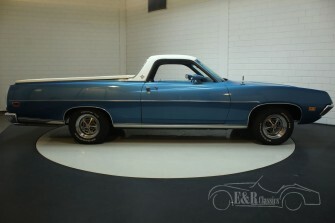 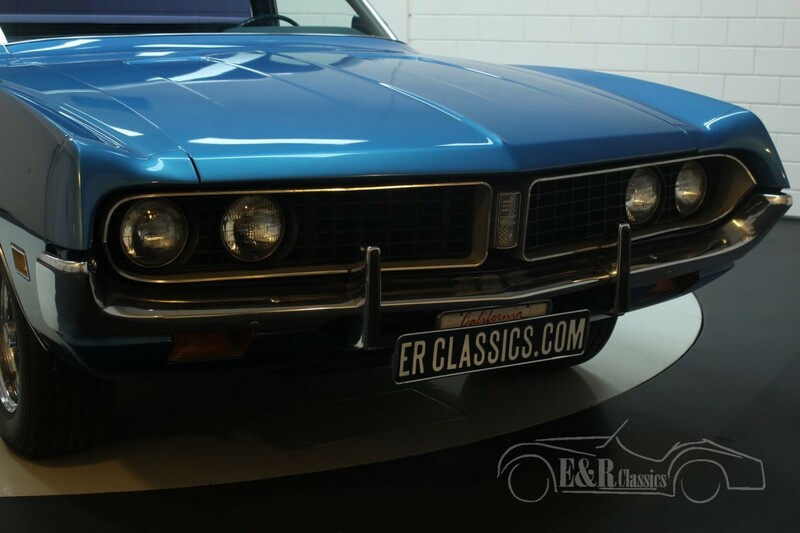 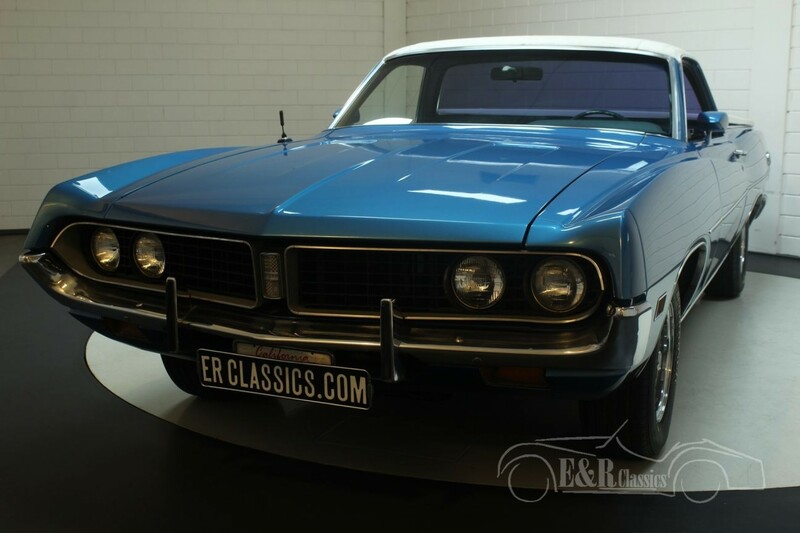 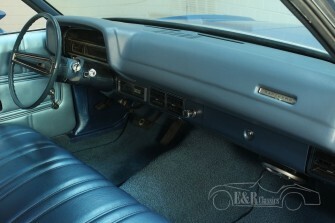 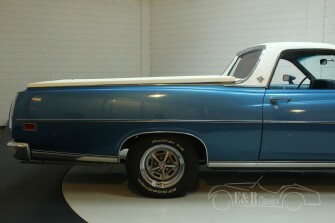 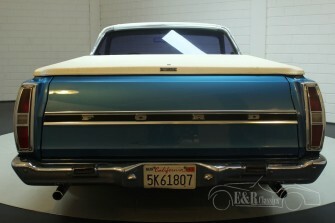 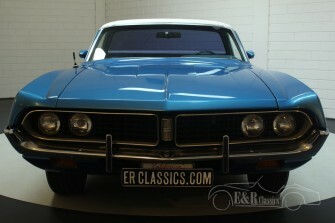 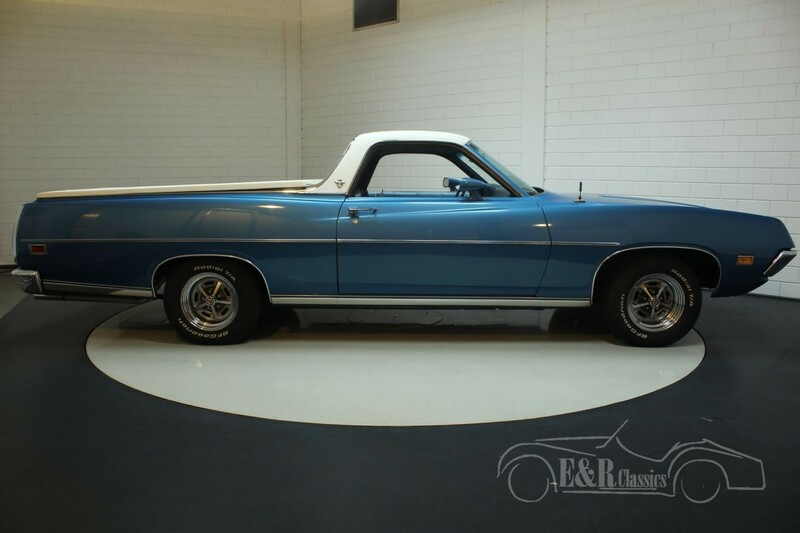 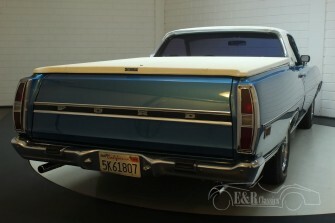 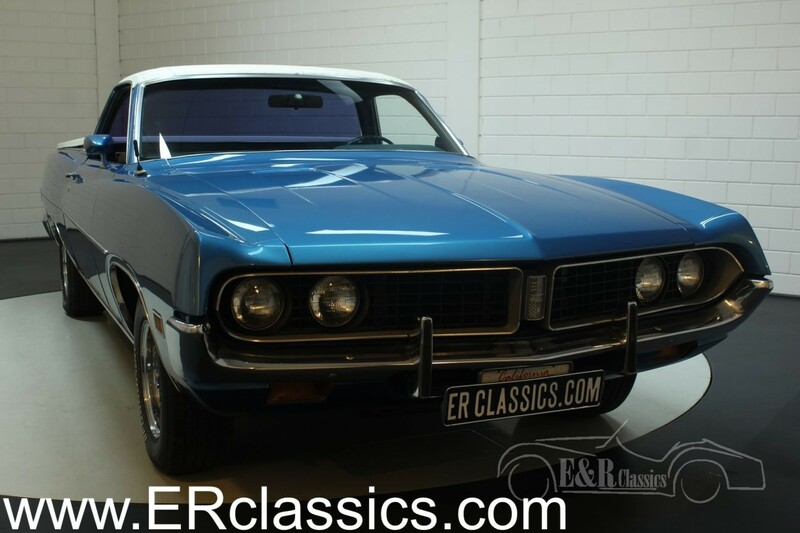 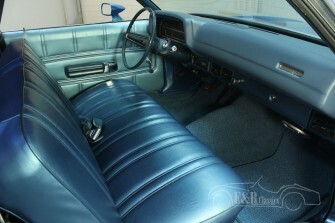 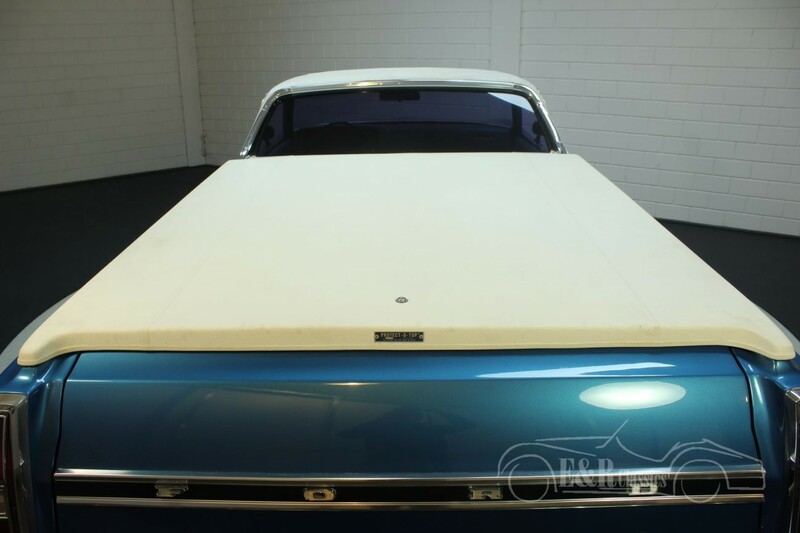 This Ranchero is about 5 years ago provided with a new blue metallic paint and is therefore in very good condition. The cargo space cover is executed in white and the luxurious blue interior is in good condition. This American classic car is equipped with a 531 CUI Cleveland V8 engine (5.8L) with an automatic gearbox, a stainless steel exhaust system and beautiful chrome. 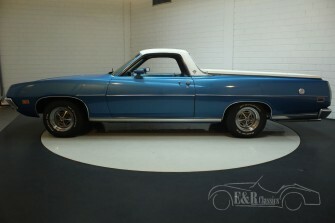 In short, a beautiful Ford Ranchero with the driving pleasure and engine sound of a real V8.